Our owner, Carla has recently received a Nationally Certified Online Profile Expert (NCOPE) credential – Unleashing the Power of LinkedIn. While she has been writing LinkedIn profiles and helping clients leverage the power of LinkedIn for personal branding and job searches for over six years the NCOPE training is the next step to taking her knowledge to a higher level. 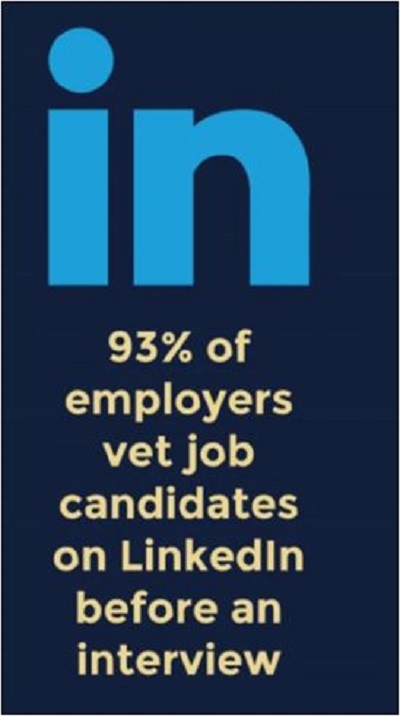 The content-rich, training provides a deep understanding of all the latest best practices to help clients unleash the power of LinkedIn for job searching, networking, and career advancement. Several on our team including our owner have published articles in top leading publications, such as; Huffington Post, Entrepreneur, The Consultant Network and more. We have multiple years of combined experience with an emphasis on continuous learning to keep abreast of the latest changes to online platforms related to job search, sales, and personal branding. Carla, based in the Washington, DC area began her career in corporate communications and marketing. She later moved to HR/job placement services within a firm in Fairfax, VA. where she worked closely with candidates who were seeking to move up the career ladder, transition their careers to other industries or wanted to enhance their overall professional branding. She has written thousands of resumes and LinkedIn profiles for top-level executives and has spent countless hours studying LinkedIn and LSEO (LinkedIn Search Engine Optimization). She is often requested for a professional study and review by authors/industry experts of Amazon’s #1 Best Seller books on the topic of LinkedIn Profile Optimization. She holds a Mass Communication, Marketing/Public Relations/Promotions bachelor’s degree from Frostburg State University and is currently working on the completion of a Digital Marketing and New Technologies degree from the University of Phoenix. Carla recently received a Nationally Certified Online (LinkedIn) Profile Expert (NCOPE) credential (April 2019). Also, in March of 2019 she was chosen by The National Resume Writers Association (NRWA) as an “Ask The Experts” contributor to the nationally known association for her input on key resume development issues and challenges. Steve has 20 years of experience in business writing with an expertise in healthcare technology and general healthcare professions. Steve is a former client who expressed interest in working for us to oversee our business development activities as well as Editorial Services. Prior to joining us, he was the Director of Online Content Writing and Web Marketing for a major healthcare IT recruiting firm in Ohio. Prior to that, he spent 10 years working in the job placement office at a well-known university where he directed the writing and preparation of resumes, LinkedIn profiles, portfolios and Curriculum Vitae (CV) materials for upcoming college graduates. His direct contact and long-ranging connections with local human resource and hiring managers in the area proved his work to be a success having been the link to nearly 3K college graduates being offered positions within 6 months of graduation over a 10-year period. Steve holds a bachelor’s degree in business administration and writing. We’ve studied LinkedIn, we’ve listened in on webinars from top industry experts and have acquired and studied closely #1 Amazon Best Selling Authors on the topic of LinkedIn Profile Optimization. We didn’t stop there! We (well, the owner) has made a point since the start of her business to connect with the most ‘well known’ experts on LinkedIn. This provided an opportunity to study their work, their habits and glean knowledge that she then meticulously applies to every LinkedIn profile writing project. This is proven by her own ranking on LinkedIn as shown below. Clients often write to tell us how satisfied they are about our resume writing and LinkedIn profile services. Since 2012 we have been helping professionals both U.S. domestic and internationally. Requests for our services span the U.S. from Washington, DC. California, Texas, Michigan, Chicago, the Carolina’s, New York, Florida and everywhere in between. We have worked with clients across numerous continents and have grown to 30+ countries (Europe including the UK, Africa, Asia and more); however, we provide services to clients from ALL areas of the United States and ALL countries. 🙂 We are not website designers (we’re writers and it’s what we love to do)! Pardon our not so perfect website.